Cape Town, Mar. 17: South Africa captain Graeme Smith has hinted that there is a split between the management and players in the wake of a fiasco that resulted in the side having four captains during the current series against the Australians. The team, which is 2-0 down in the three-match series, has refused to comment on Mark Boucher replacing Smith on the field and then Ashwell Prince, who has been out of the side for five Tests, being appointed opener and captain for the third Test. 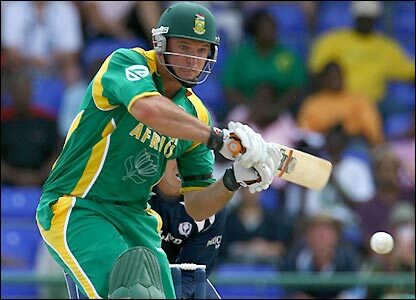 Prince then said he would not do the job, apparently because he was not happy about opening the batting and so Jacques Kallis was appointed the following day. Injured Smith was clearly angry after the game when it was announced that opener Neil McKenzie and bowler Morne Morkel had been dropped. He sat slumped in his chair with arms folded and head turned away as convenor of selectors Mike Procter sat next to him and answered questions about the issue. “It is disappointing, but the saddest thing is that during times like these, you need cool heads,” Smith told a South African paper. Smith and coach Mickey Arthur are annoyed that the side they pulled together for the assault on the world championship title 18 months ago has been undone after the defeat at Australia''s hands. Cricket South Africa chief Gerald Majola was the only person authorized to speak about the controversy since the Test and he contradicted Procter''s claim that Prince was chosen as a captain first and a player second. Prince made a double hundred in a domestic game this week, but refused to speak about the captaincy. Smith said the situation could have been avoided. “Six months ago, I proposed the idea of a vice-captain to be named across all three teams (Test, one-day and Twenty20),” he said. There was also speculation in South Africa that A B de Villiers was being lined up to be the next captain but this has been dismissed by Majola. "The board appoints its captains at the start of every season," he said.